Tool Form, Inc. manufactures small lot sizes or parts in volume and has the ability to handle stock ranging from ½ inch to 6 inches in diameter. 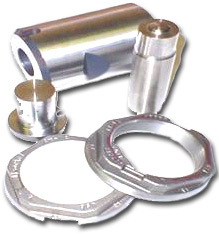 Tool Form was established over 25 years ago by a large Fastener Manufacturer. In March 2002, Tool Form was purchased by the management and formed Tool Form, Inc. Tool Form, Inc. is a new company that started out at the age of 20. Our long-term employees and their skills remained on the job, eagerly looking forward to serving both our established customers and new customers. Tool Form's growth over the last 25 years has been due to our outstanding quality. Our base of long term, highly skilled employees, maintains accuracy and the quality that you have come to expect.